Fabulous 2 BR Luxury Condo. Ideal Stowe Village location. Ideally located in the beautiful village of Stowe and within walking distance of the shops and restaurants of Main St, this condo has it all. The unit sleeps six. The Master suite has a king size bed, a 40 inch HDTV with Blu-Ray player and cable, and an ensuite bathroom with jetted tub. The second bedroom has a queen size bed, 27 inch HDTV with Blu-Ray player and cable, and also an ensuite full bathroom. 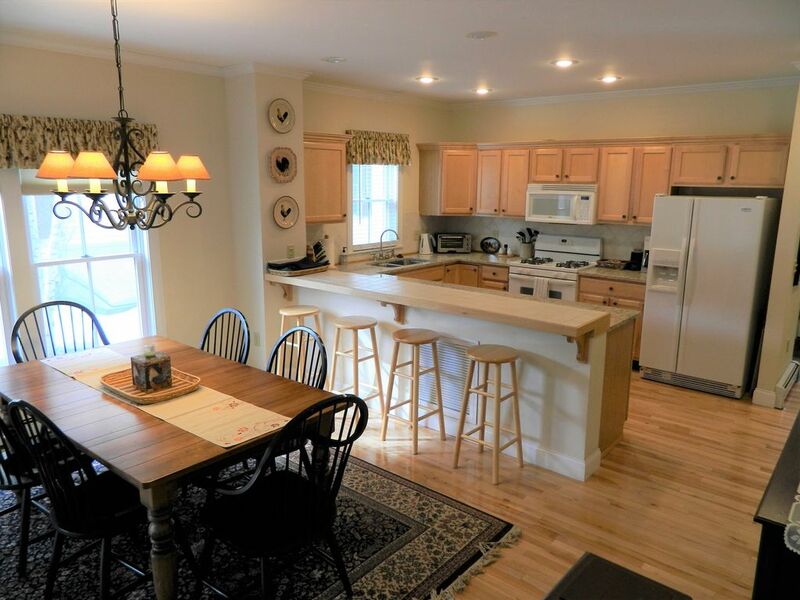 There's an Inviting kitchen with granite counters, coffee maker and grinder, dishwasher and microwave. The living room features an open floor plan with gas fireplace to allow for great conversation with flat screen TV, Stereo, books and games. There is a comfortable Murphy bed that sleeps two additional guests as well. Off the great room is a deck with gas grill in the warmer months. The unit also has a full size washer and dryer as well as a village location that allows you to walk to town, shop, eat and catch the free shuttle bus in the winter months.